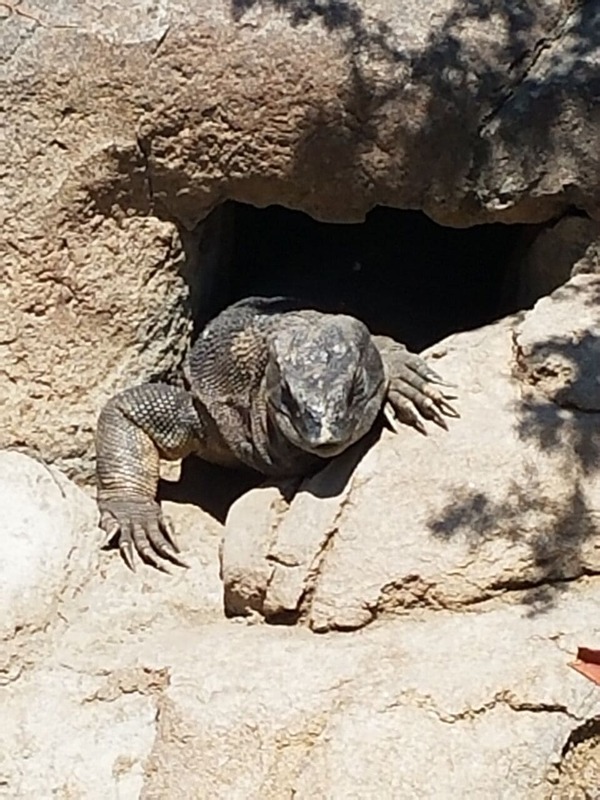 San Diego Zoo Tickets & Discount Tickets+ Review of Our Trip! Are you looking for discounts to the San Diego Zoo? We have a list of current (and legitimate) discounts available for San Diego Zoo Tickets. We have purchased tickets through many of these outlets, and have confirmed they are the real deal. The San Diego Zoo had been on my bucket list for many years. We kept making trips to Southern California for the beaches, and Disneyland, etc. but kept putting our visit off. We finally went, and cannot believe I waited that long. We loved the zoo. It was large, and easy to move through, and so many animals to see. You can walk it, take a sky tram or tour, or other options, so there really is something for everyone. We share a brief review of our visit below if you want to know what to expect. 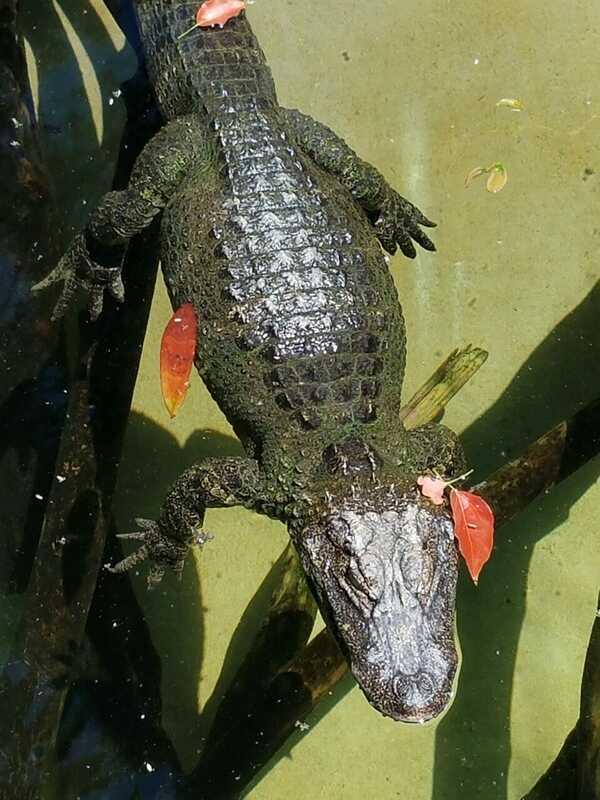 It can be a costly trip for a family though, so we have many ways you can save, if you want to visit this zoo. If you like the zoo, then you will love the San Diego Zoo! 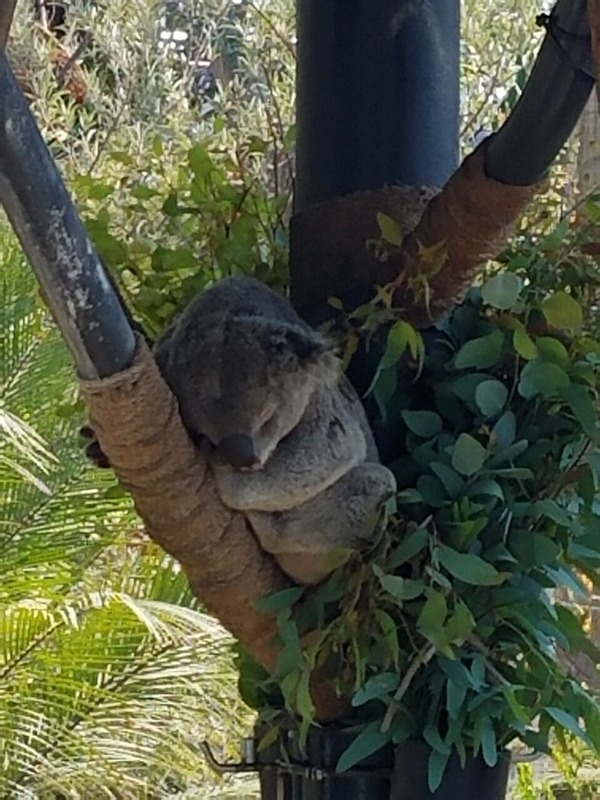 Koalas sleeping in the tree on our last visit to the San Diego Zoo! aRes offers San Diego Zoo discount tickets start at as low as $39. 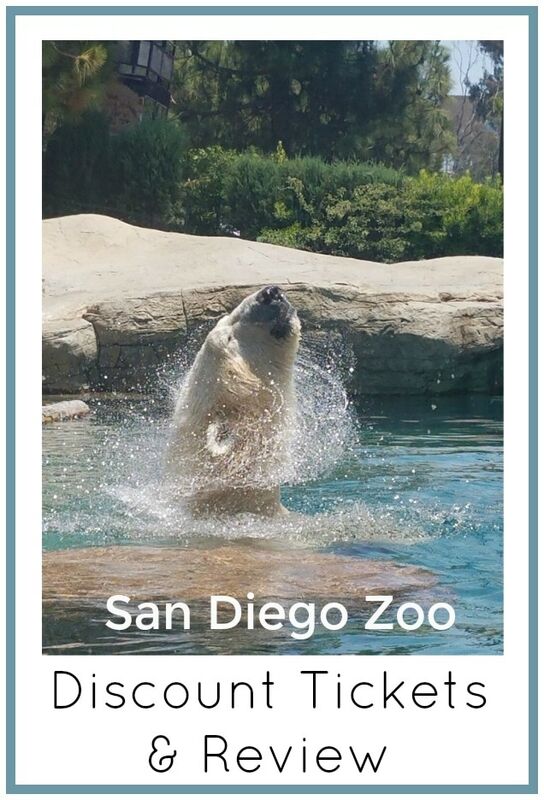 aRes is a legitimate ticket retailer for the San Diego Zoo, and has a number of different options to choose from, including one day passes and combo passes (which can provide the very best savings deals if you want to visit other attractions in the area). Here are some examples of their savings (and find all of the options on this page here). You can also get a great deal on Family Pack to the San Diego Safari Park. Save $27 on a one day pass so make sure to check it out to. If you plan to visit other attractions in Southern California you can get combo packs that will help you save money too. Scroll to the bottom of this page to find those offers. Get Away Today is another legitimate seller (we just booked our Disneyland vacation through them, and Get Away Today coordinated our tickets for our most recent San Diego Zoo visit too). Here are some of their savings options available for this zoo. Where we find you get the best value with Get Away Today is when you use them to book a vacation package. So if you are thinking of visiting the San Diego Zoo as part of a bigger trip to Southern California that might include Disneyland and hotel stays etc. be sure to check out their vacation packages to see what kind of overall savings you will get. You can also use coupon code ThriftyNWMom to save an extra $10 off your vacation packages with them. Another benefit is that you can put your vacation on layaway, with a small down payment, if you want to secure the prices but pay it off over time. You might also want to check to see if there are Groupon San Diego Zoo offers available for your planned travel dates. Currently you can buy tickets through Groupon, but they are the same as regular prices. This can be a deal if you have a promo code that you could use on the offer, or you have Groupon Bucks to spend. For the past couple of years, there has also been a promotion where Kids Visit Free in October (many attractions are included in this promotion, including the zoo). Kids can visit the San Diego Zoo for free during the month of October. There is no limit on the amount of children that are free per paid adult (within reason for proper supervision). Valid for children 11 and under. They offered the promotion most recently this past October, and we expect it will return next year too if you want to plan your visit around those savings. One way to get San Diego Zoo coupons is if you know someone who has a San Diego Zoo Membership. As part of the membership program they offer various coupons to their members, so if you know someone who has one, it might be worth asking if they have any coupons. 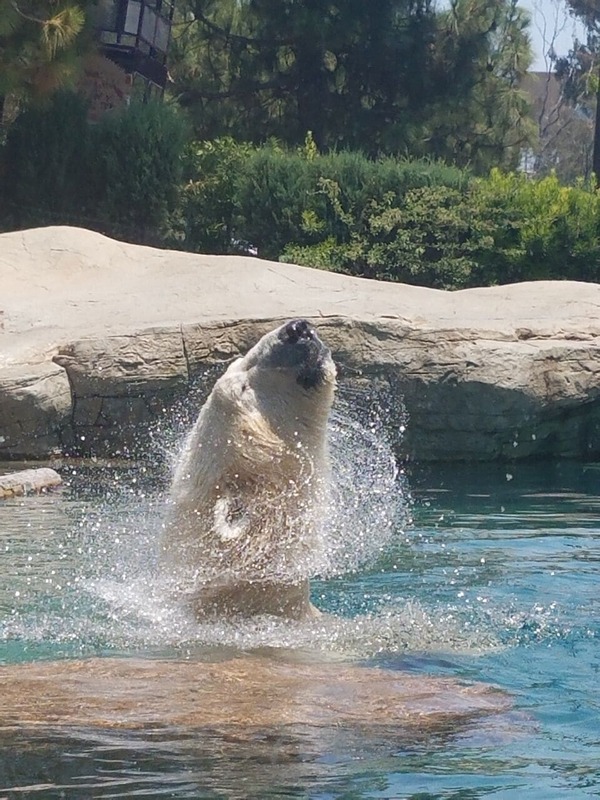 Check sites like Priceblink, for San Diego Zoo coupons and promo codes you can use online. The last we checked they had a $5 off 1 day pass promo code you could use to save when purchasing your tickets online. San Diego Zoo also offers a 15% Student Discount on one day passes. That should make the adult tickets $47.60 (discount is just on adult priced tickets). You will have to buy these at the gate, and have your student ID with you. They offer complimentary admission exclusively for active duty service members upon presenting valid ID (available all year long). Military spouses and eligible dependents receive a 10% discount off the 1-Day Pass at both the Zoo and Safari Park and do not need to be accompanied by an active duty member of the Armed Forces. Just show your valid dependent ID card at any ticket window! Seniors also get a 15% off discount with valid ID, making the adult one day pass $47.60. AAA members can get 10% off for up to 6 people in their party when they show their current AAA card. For more San Diego Zoo Discounts check out their FAQ page here, and scroll down to the Tickets & Deals section. We spent a day at the San Diego Zoo as part of a month long trip we tool through California, and it was one of the highlights of the trip. I had been wanting to take my kids for many years, and it was time to just do it. One day was perfect for us (I think the one day pass will work well for most families) but if you love zoos you can definitely make the two day pass work too. It was a nice change from the theme parks, in that it was more laid back. There will still crowds, but not as many, and very few lines or things of that nature. We explored the park at our own pace, and enjoyed not bumping into people all the time. There are a few ways to explore the park, or get around. One is to walk. There are maps that provide easy navigation. They also have a sky tram that you can ride from one side of the zoo to the next. We took this in both directions, and it had some beautiful views. This is included with your admission ticket. There are bus stops you can catch a bus out throughout the zoo, and there are also guided bus tours, but those cost an extra fee unless you have a Go San Diego card or some type of pass that includes those. As long as walking is not an issue for you, I would not bother with the bus tours. There are maps you can grab when you enter, and the walking paths are easy to use, and a great way to get some exercise for the day. There were so many animal exhibits to enjoy. We took picture after picture of the animals. The exhibits where set up in a way that we had easy visibility and I felt like we saw more animals then other zoos we have visited. This zoo does a great job of creating more natural habitats for the animals then many others we have visited too. The polar bear exhibit was great. The polar bear performed for us and there were spots for the kids to play. There were things to do outside of just visiting animals. My kids talked me into stopping for a Henna Tattoo break. 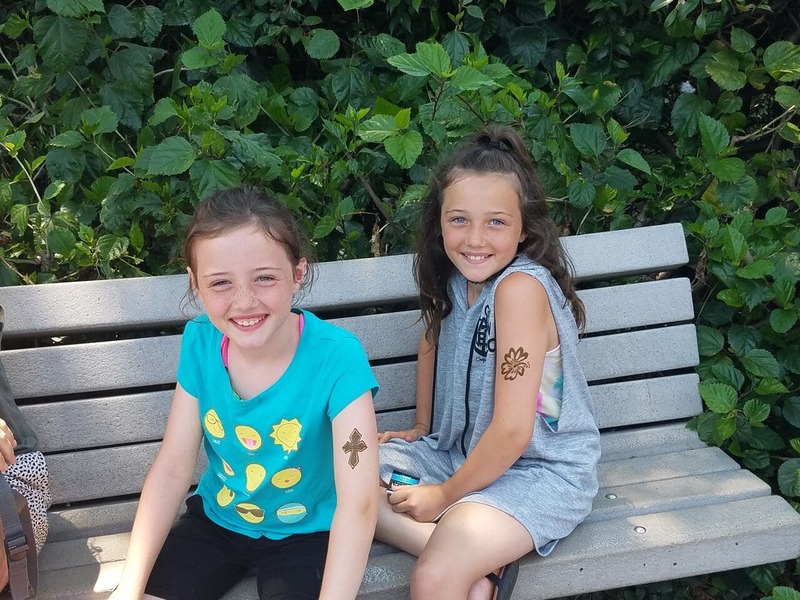 They loved their Henna Tattoos! There are a handful of play areas throughout the park to give your kids a chance to work out any wiggles (if all the walking was not enough to do this)! The main one is in the elephant play yard, but definitely plenty of opportunities for photos and things to keep the kids busy during your visit. 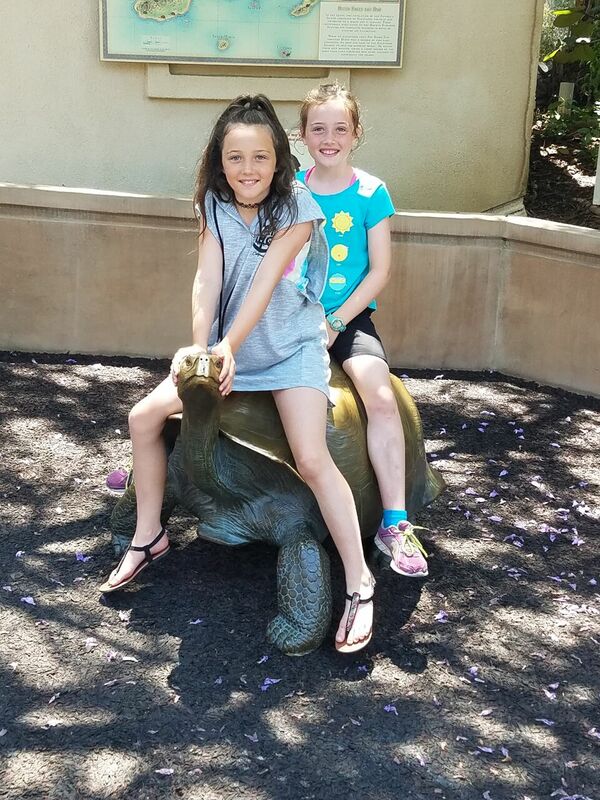 It is a 2 hour trip from the Anahiem area, so we went ahead an booked a few nights in San Diego and enjoyed other attractions down in this area. 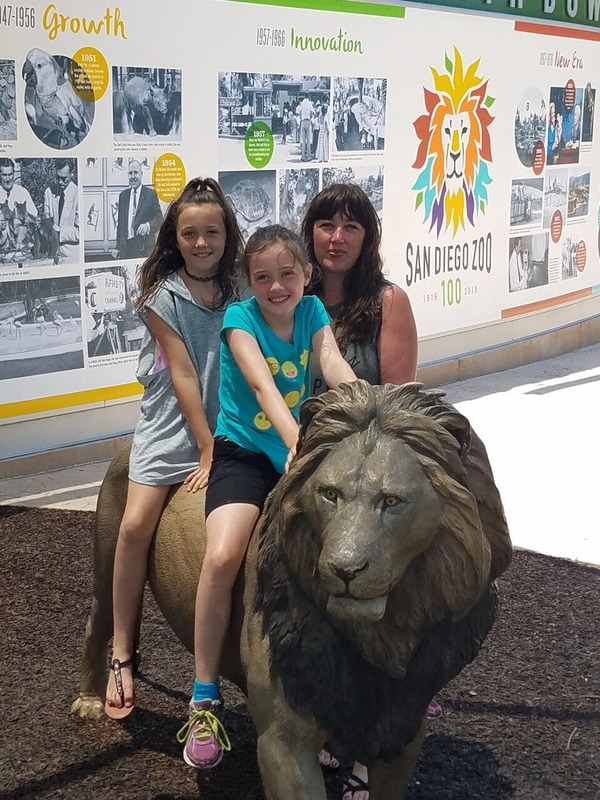 We found the San Diego Zoo well worth a one day visit, and I am so happy to be able to check it off our bucket list. Find all of our Disneyland Deals (including discount tickets) here.